Air101: Rolls-Royce engine problems persist - may occur in more types. Rolls-Royce engine problems persist - may occur in more types. Aero engine manufacturer Rolls-Royce has advised that the expensive compressor problem that has hampered operations of Boeing Dreamliner aircraft have now been found in some other types of engines. The British company has said since it had identified the issue, it had undertaken a wide range of engineering analysis along with many engine tests to further learn about the causes. While this work has focused on Package C, the company found that the the same durability issue may occur on other Trent 1000 engine variants. Rolls-Royce say a similar Intermediate Pressure Compressor durability issue has now been identified on a small number of high life Package B engines, which they've been in touch with Boeing and regulators about the issues, which will mean aircraft with the Trent 1000 Package B will need to have a one-off inspection. The Package B standard has been in service since 2012 and consists of 166 engines. Some customer airlines of Dreamliners with the Rolls-Royce engines have expressed concern, “As we have communicated earlier our summer traffic is performing well but our Dreamliners are a concern” A Norwegian spokesperson told the media today, “We have taken into account that airplanes could be put on the ground and rented additional capacity for that opportunity. Some of our flights are impacted and they have been replaced by our wet-leases,” Those wet leases include one for two Airbus A340's and an A330 from HiFly, a Wamos Air 747-400 and one or two others. 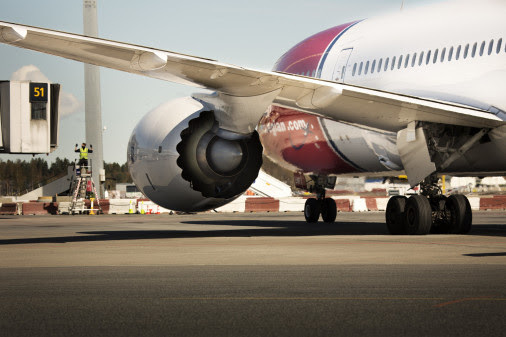 Meanwhile, Norwegian have indicated that they have engaged in talks with the Irish low-cost-high-fee airline Ryanair regarding a potential takeover deal.